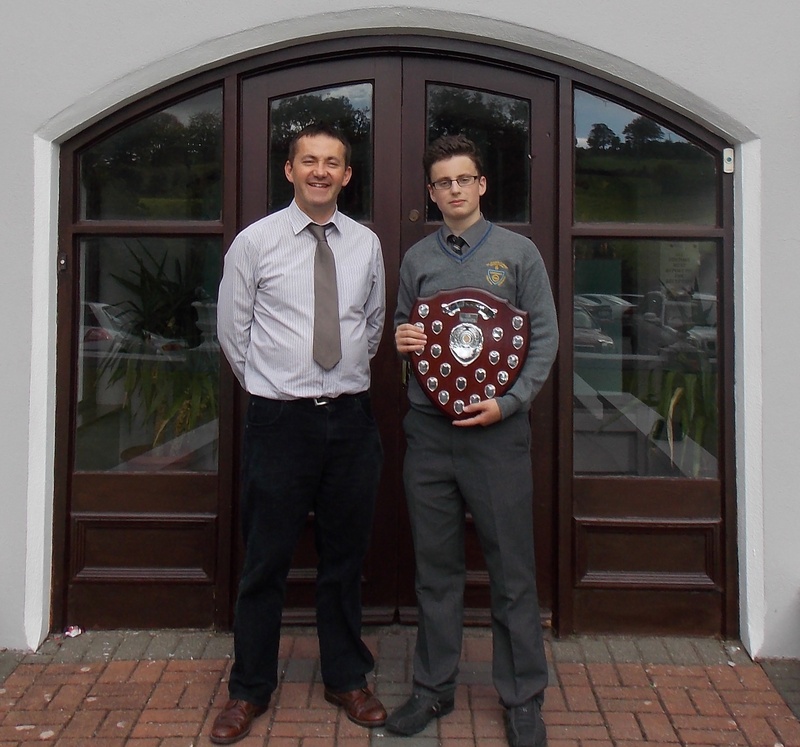 Anthony Marinos, fifth year, receives the Richard Buckley Perpetual Trophy from Mr. Weldon for the academic year 2013/14. 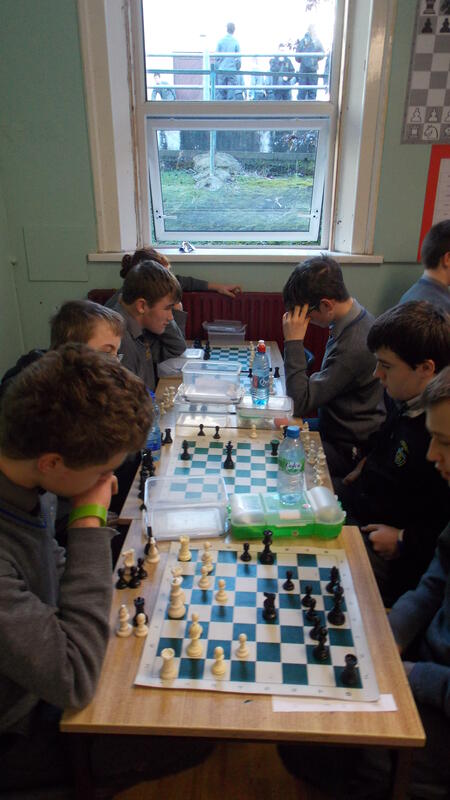 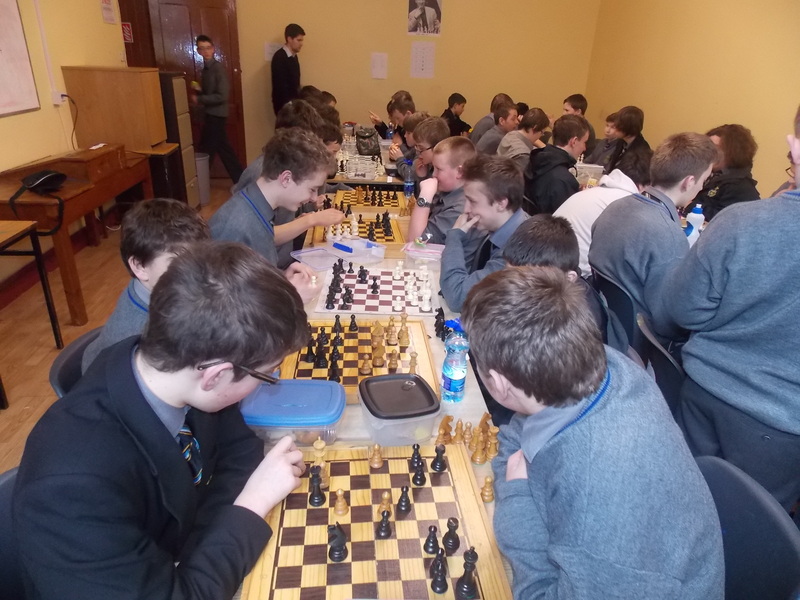 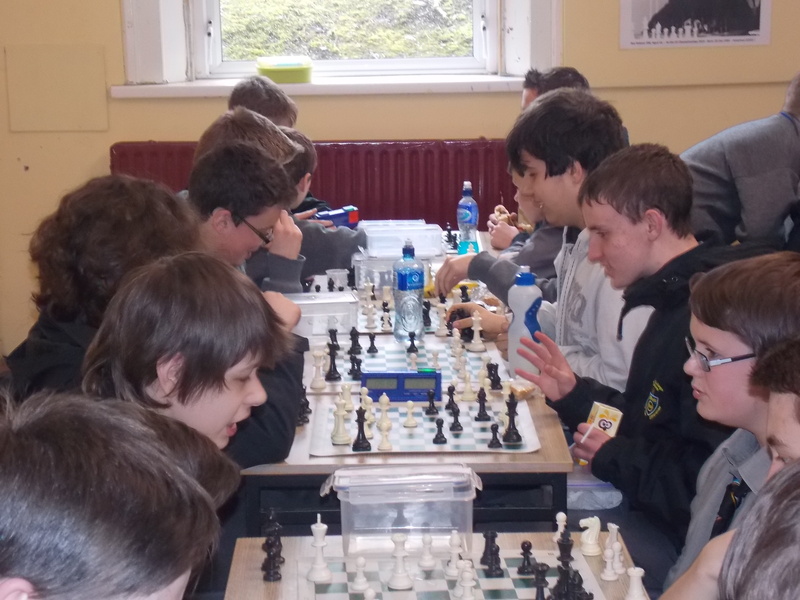 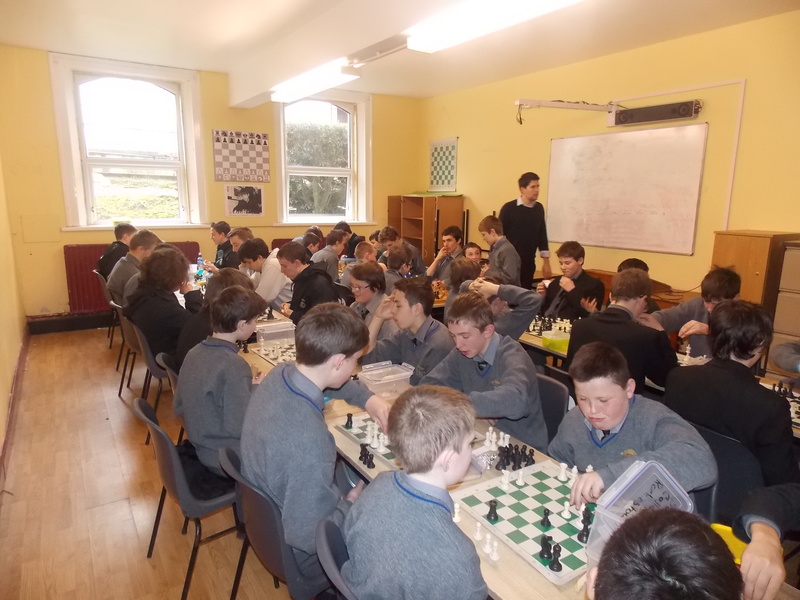 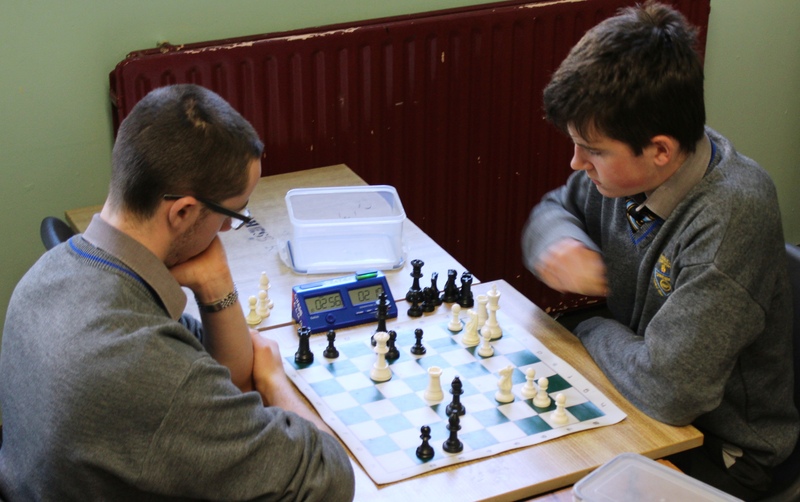 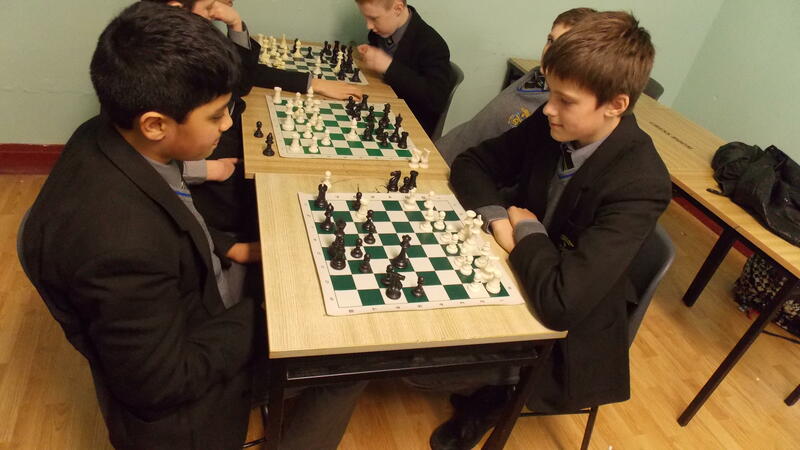 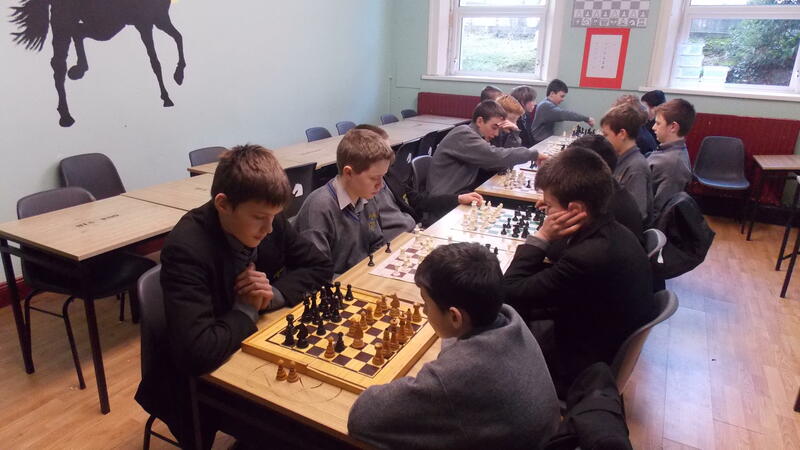 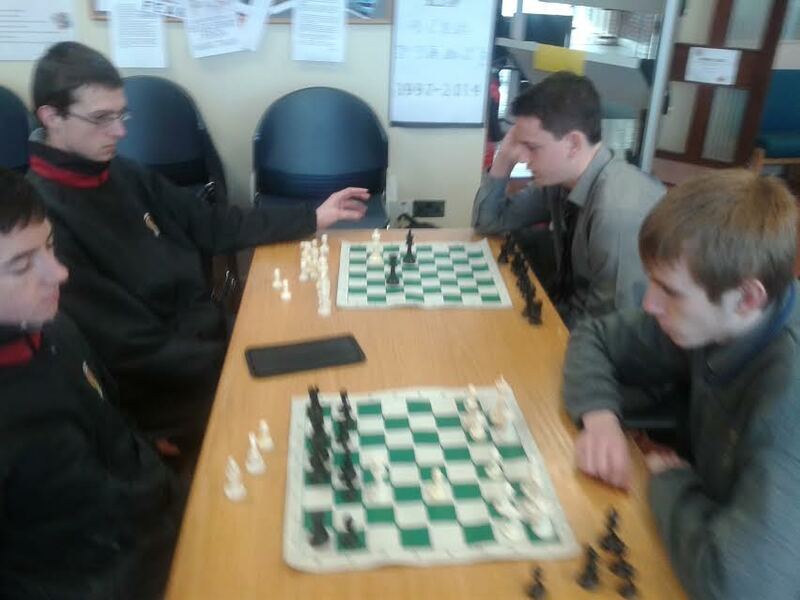 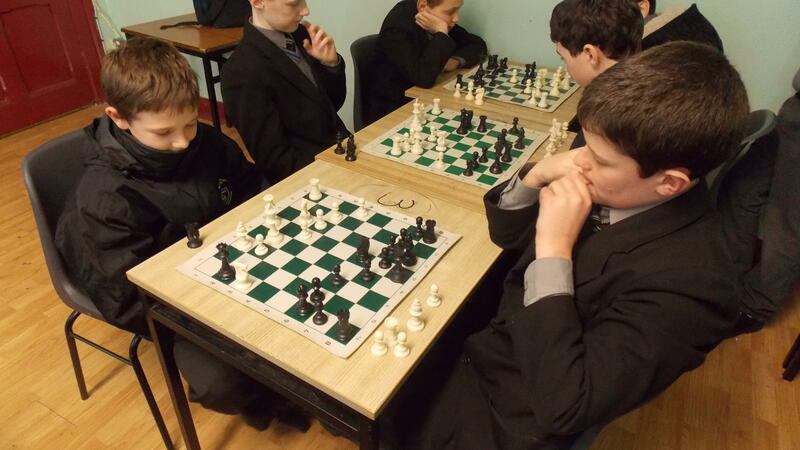 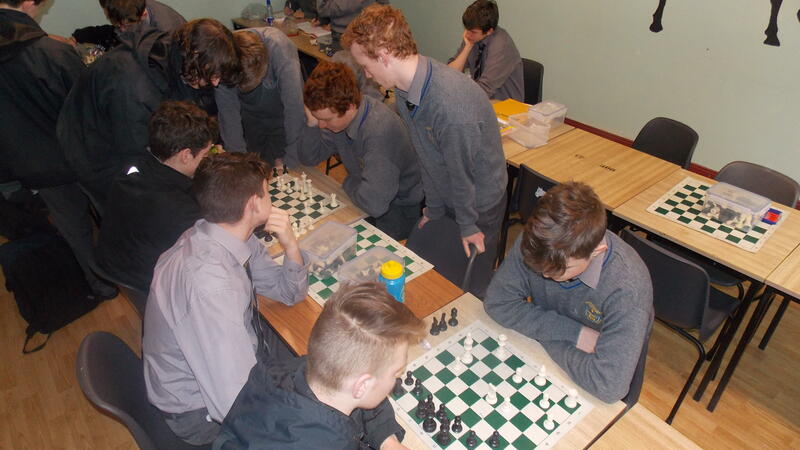 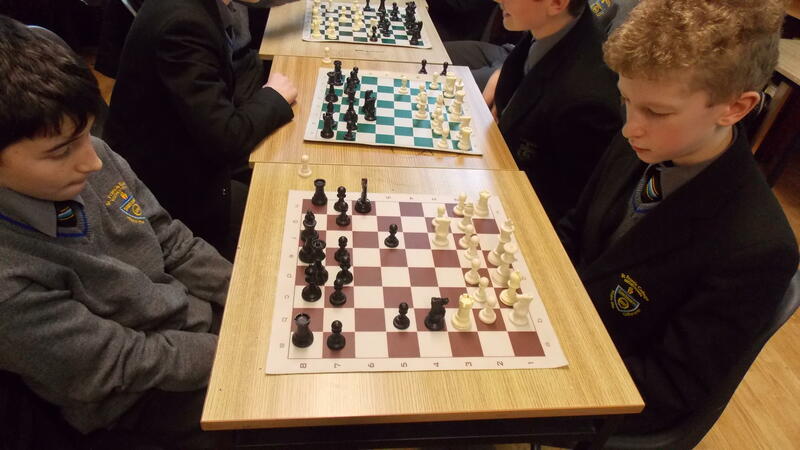 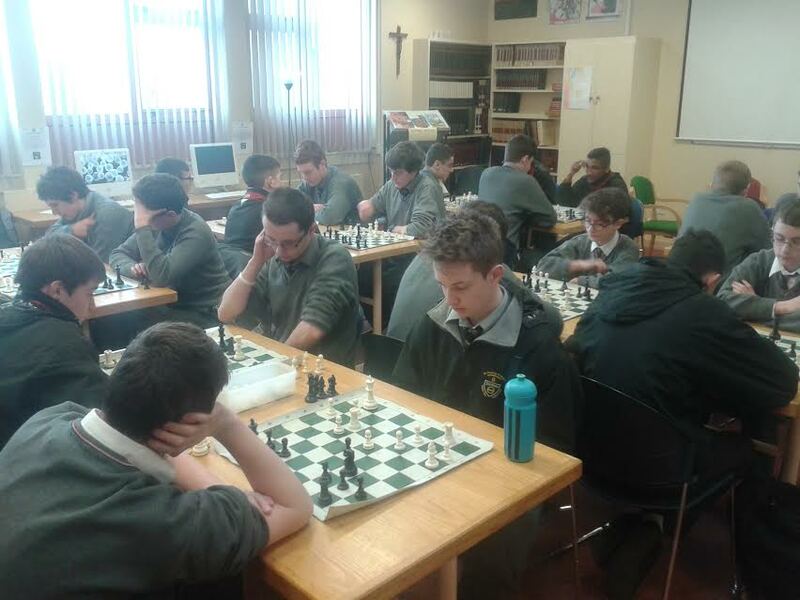 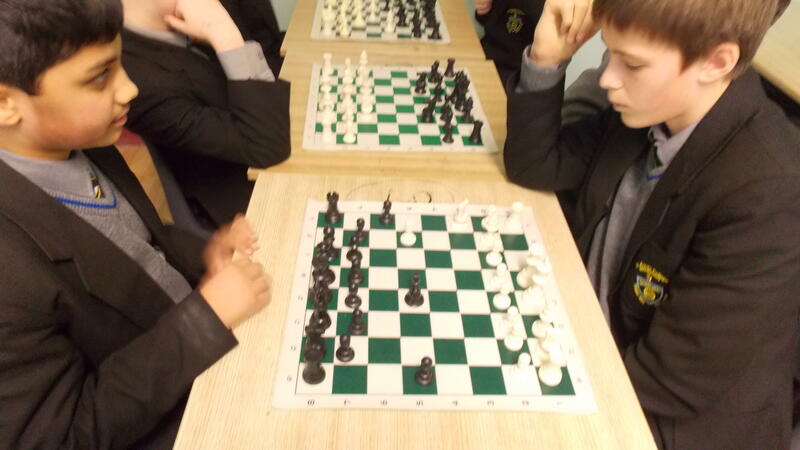 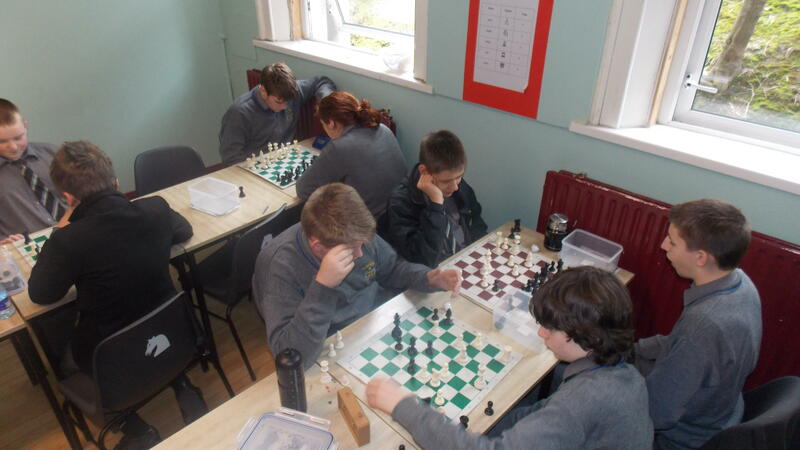 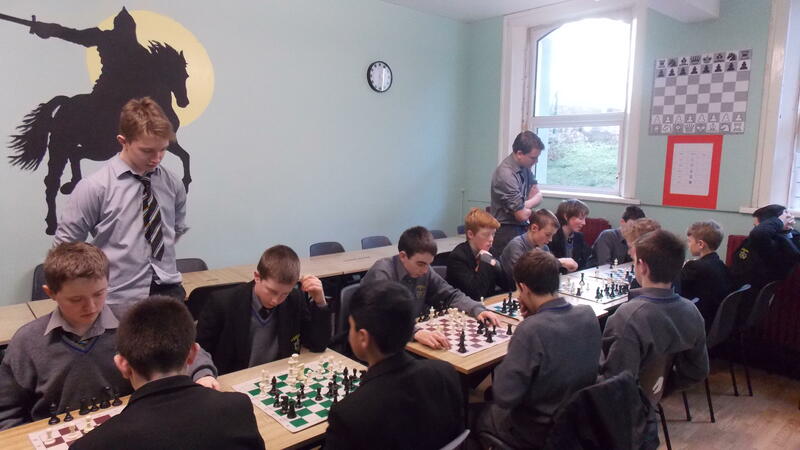 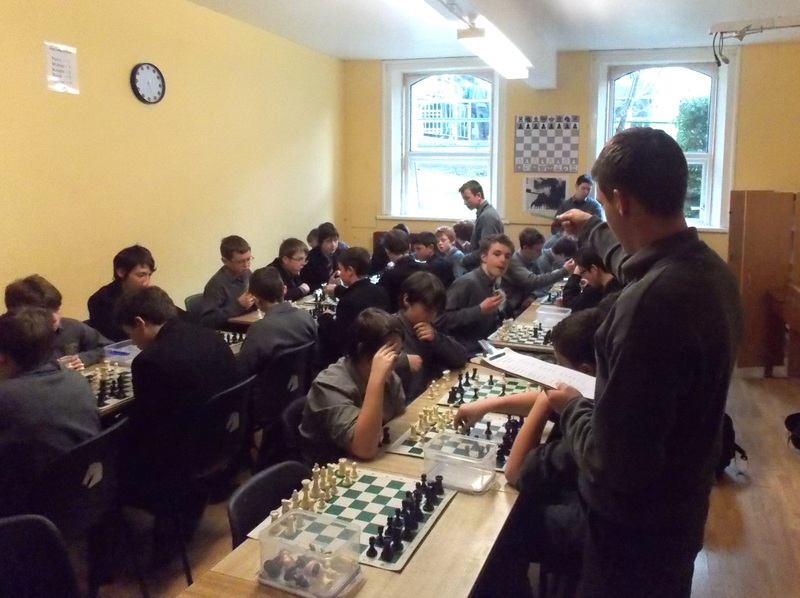 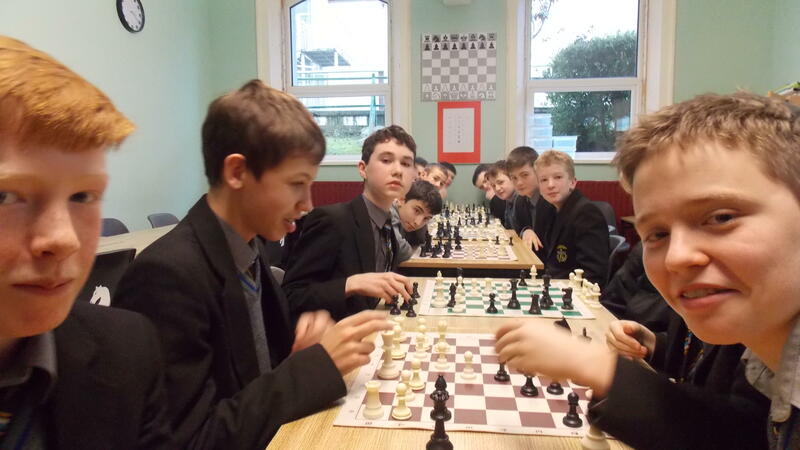 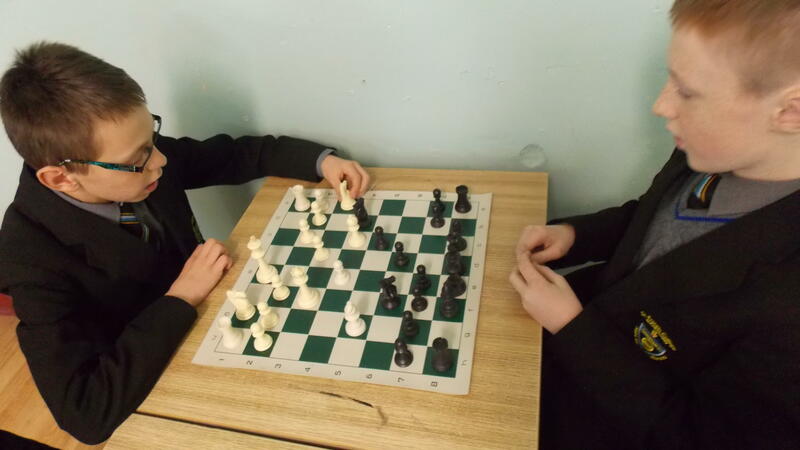 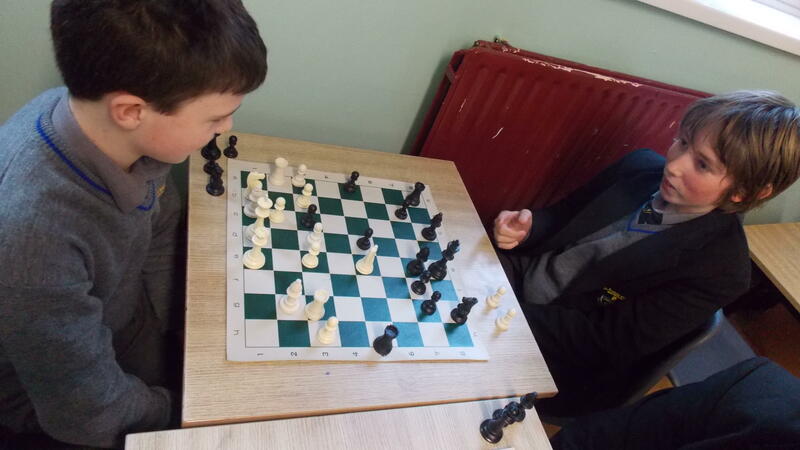 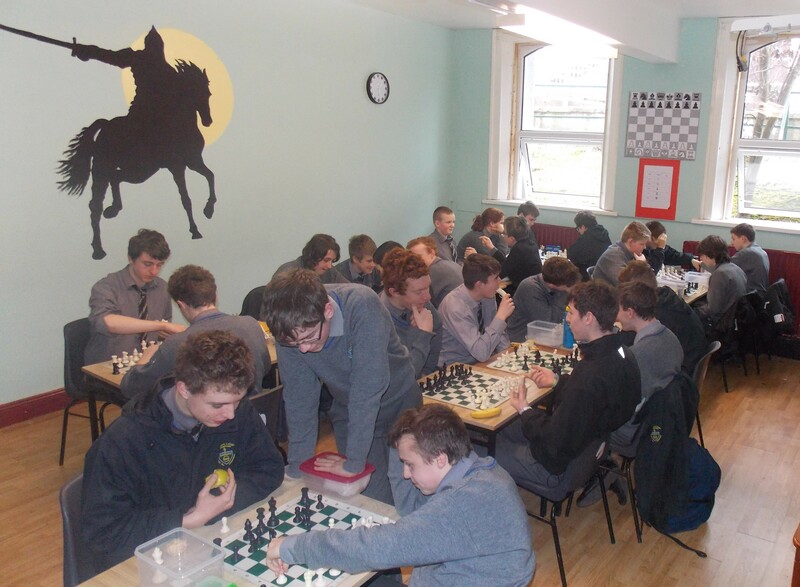 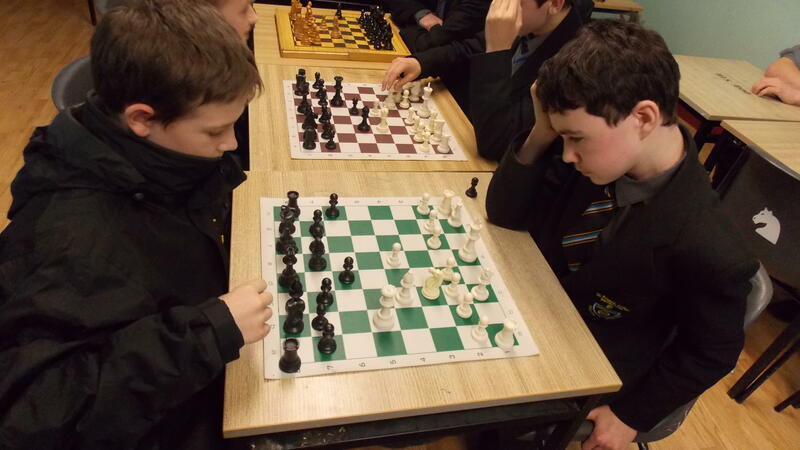 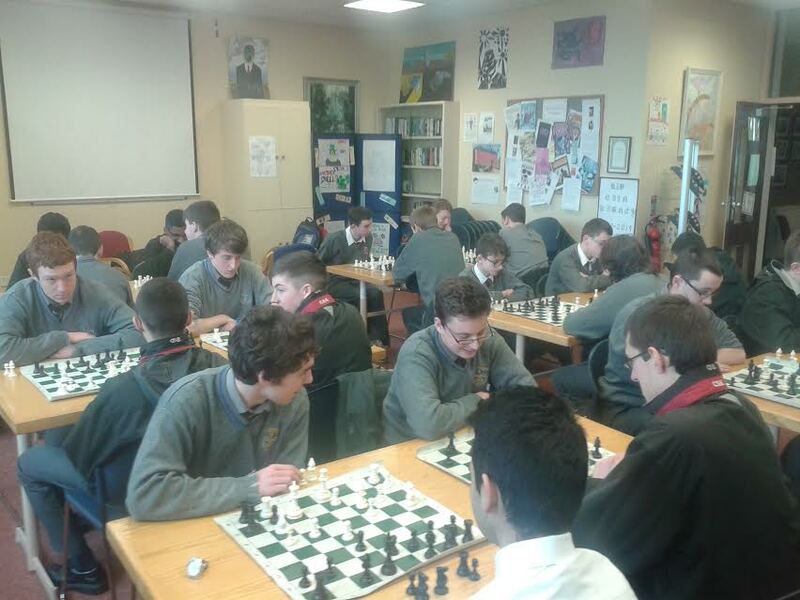 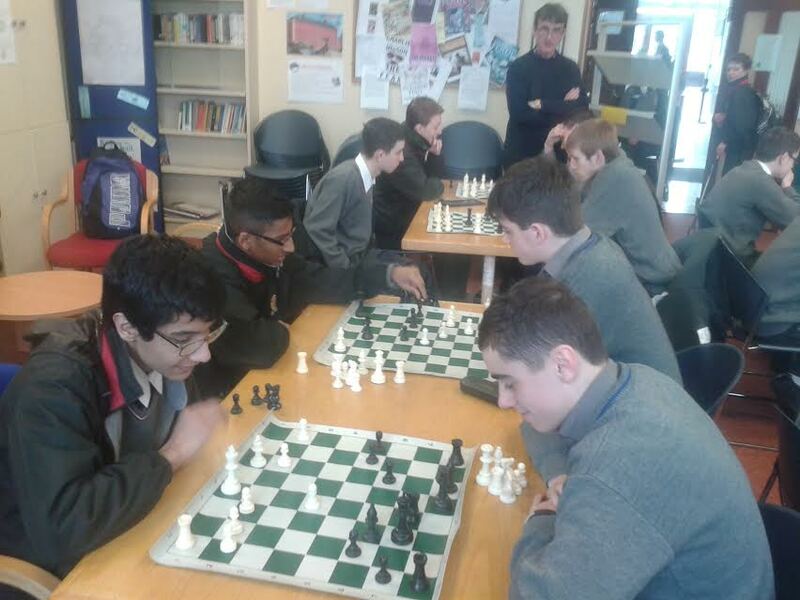 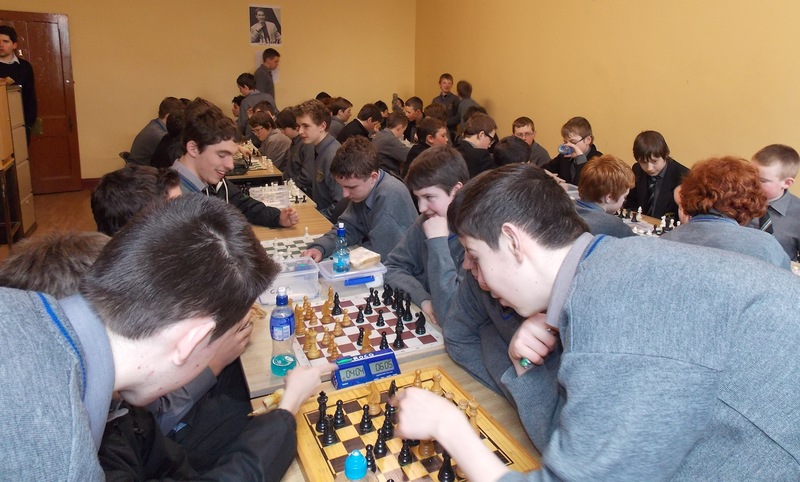 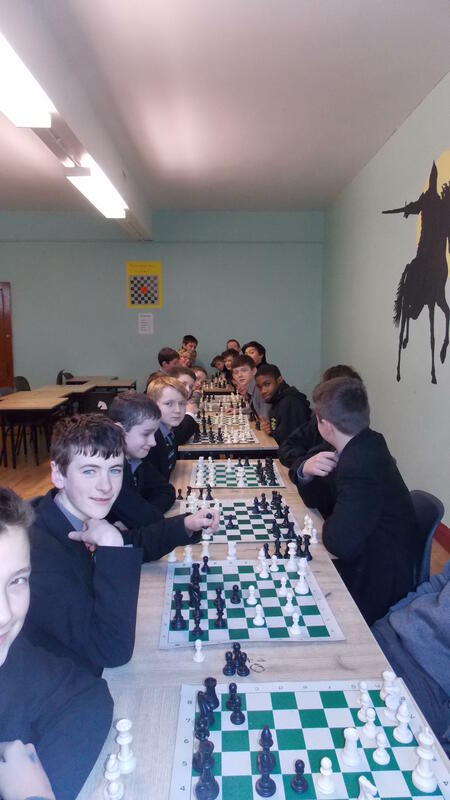 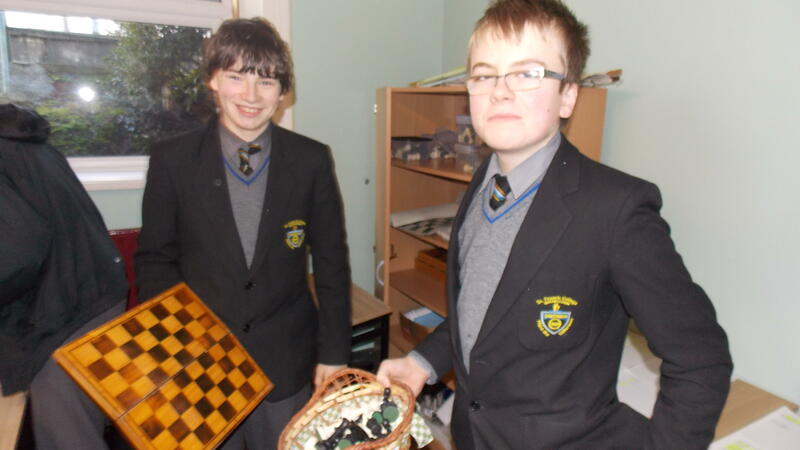 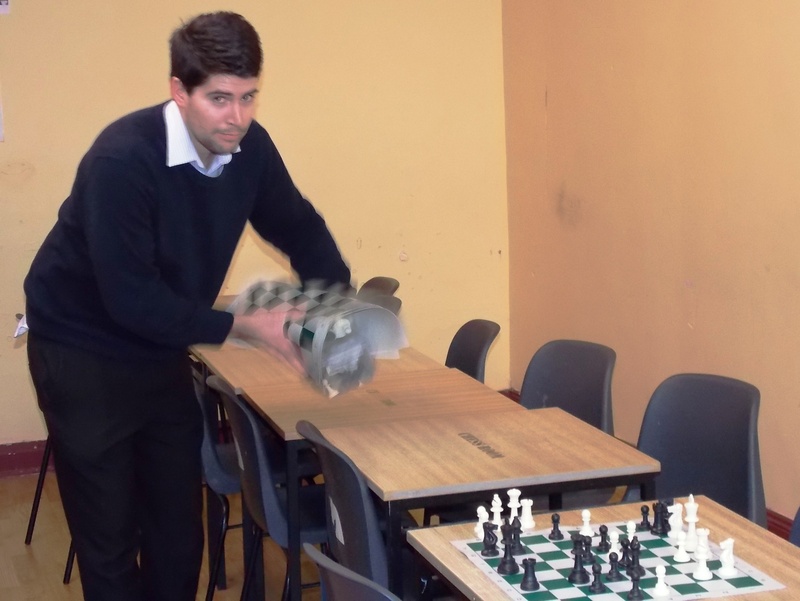 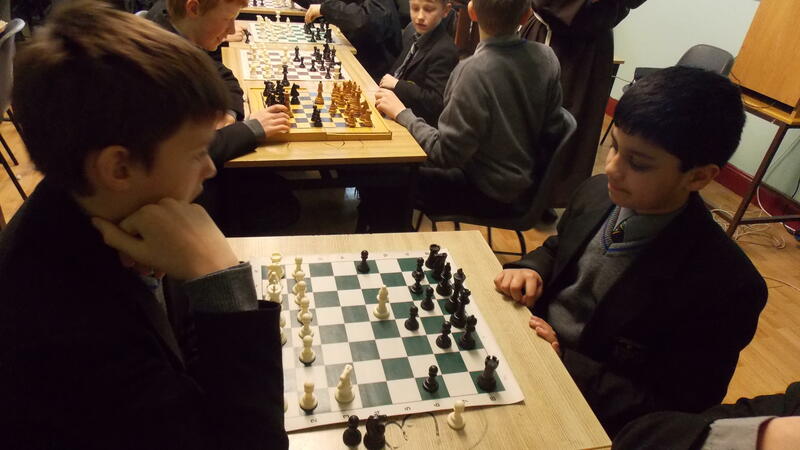 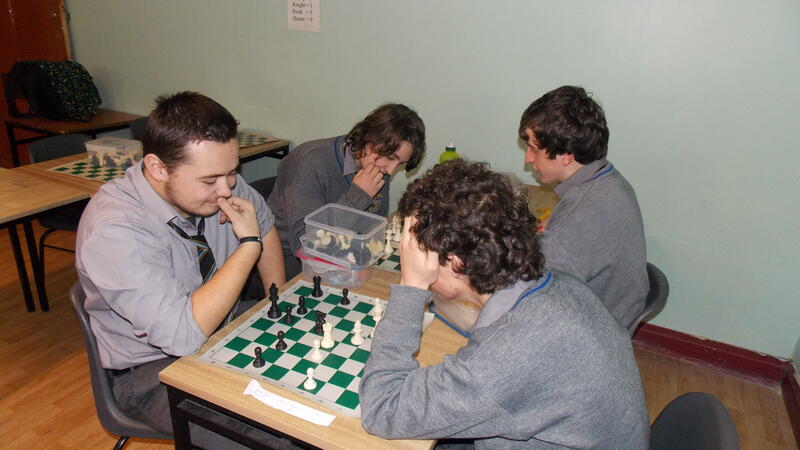 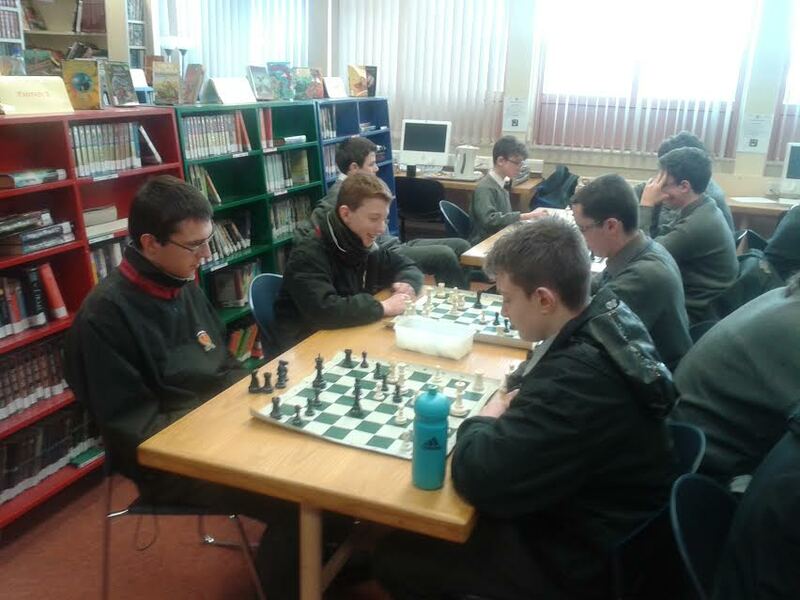 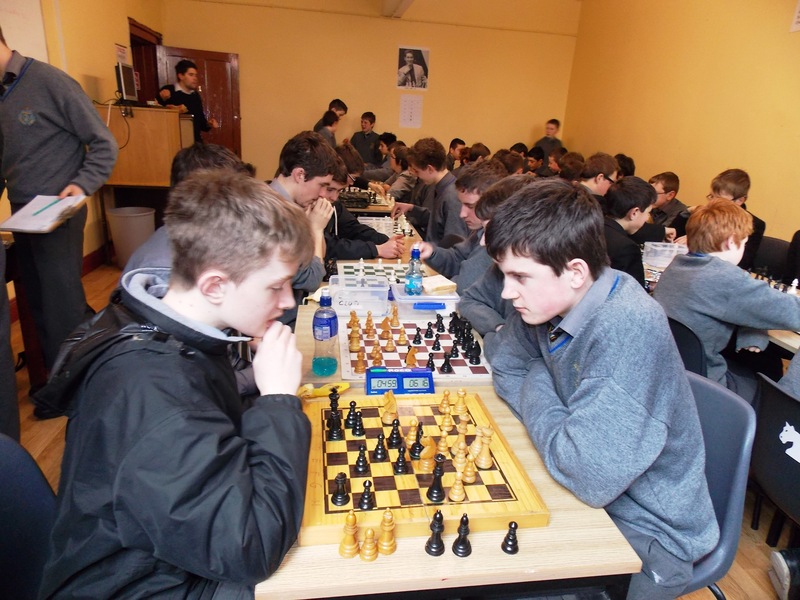 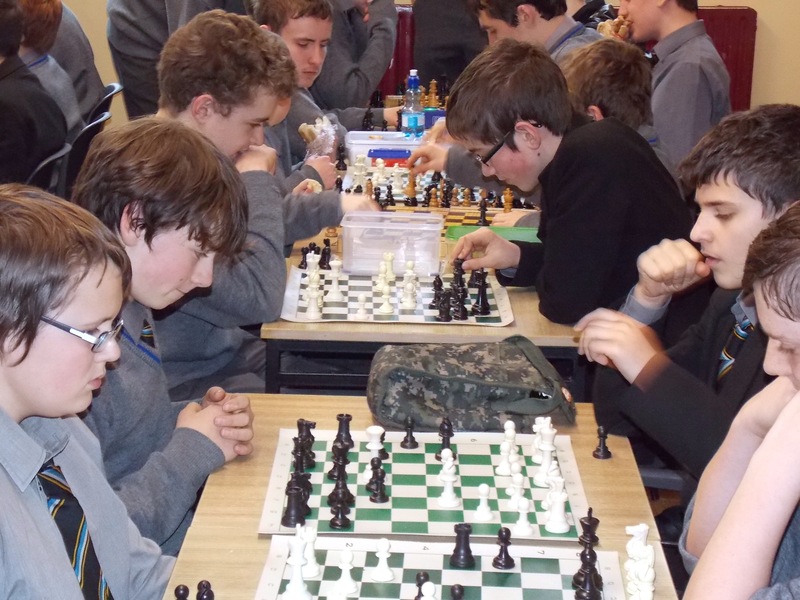 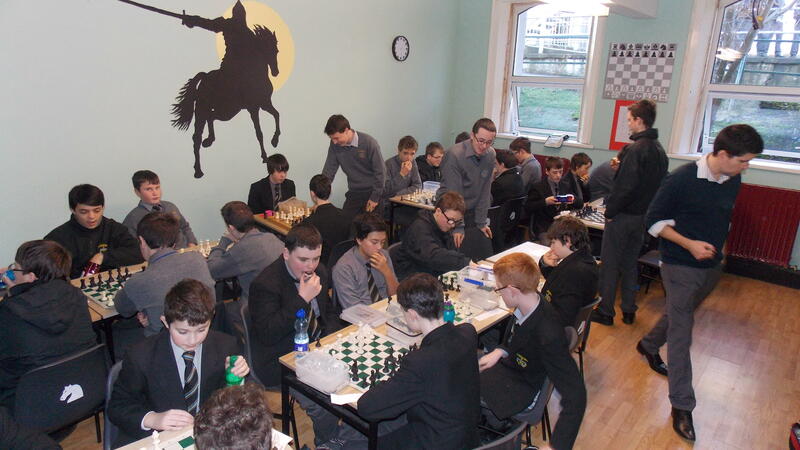 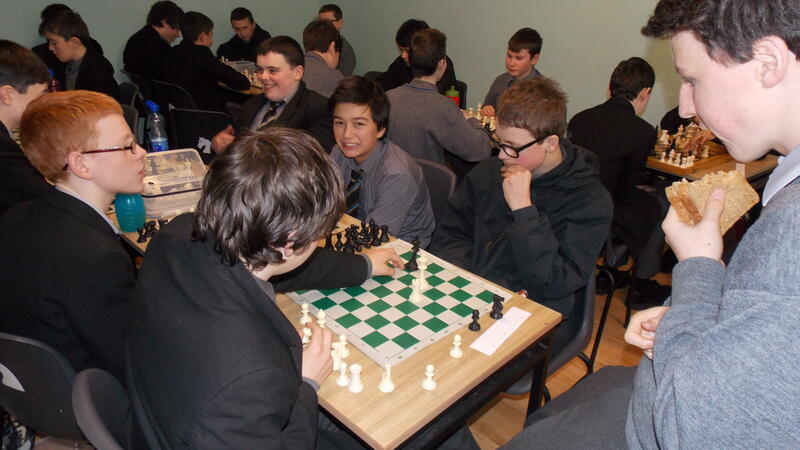 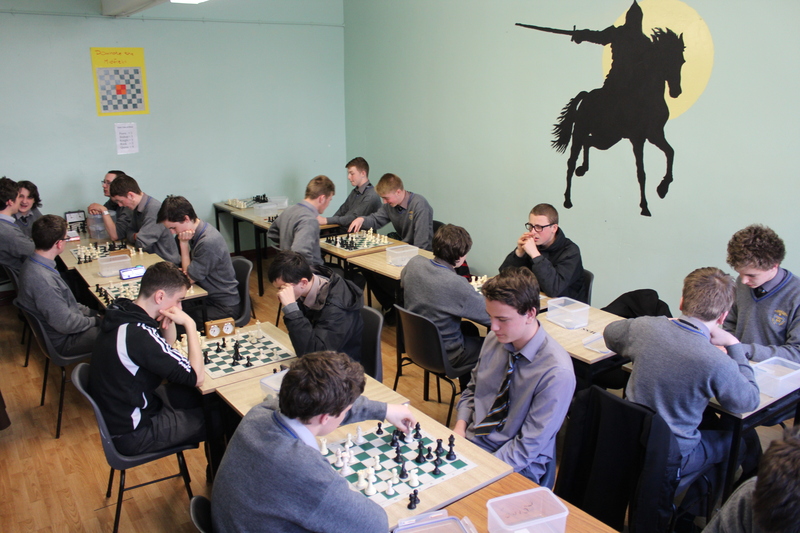 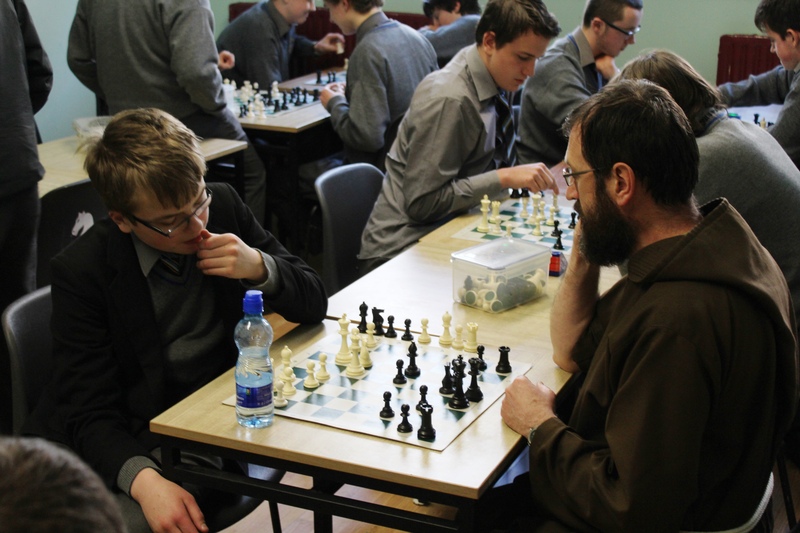 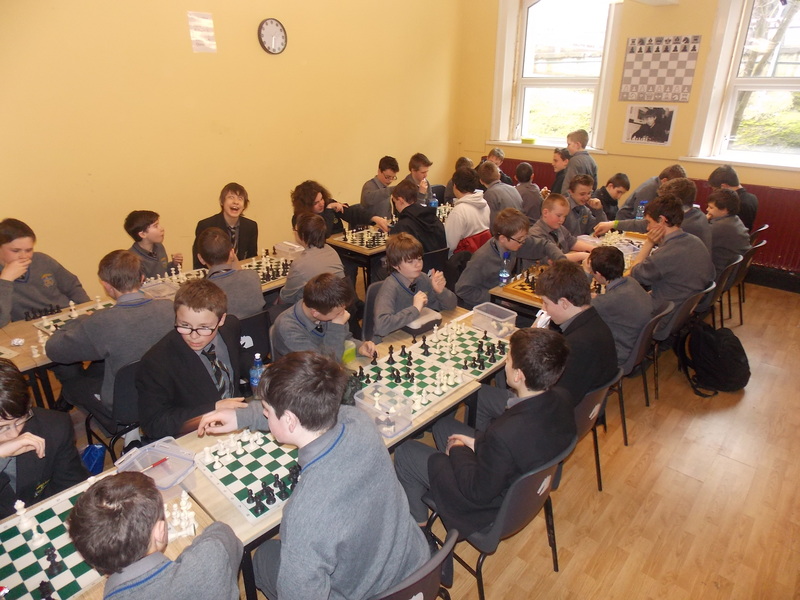 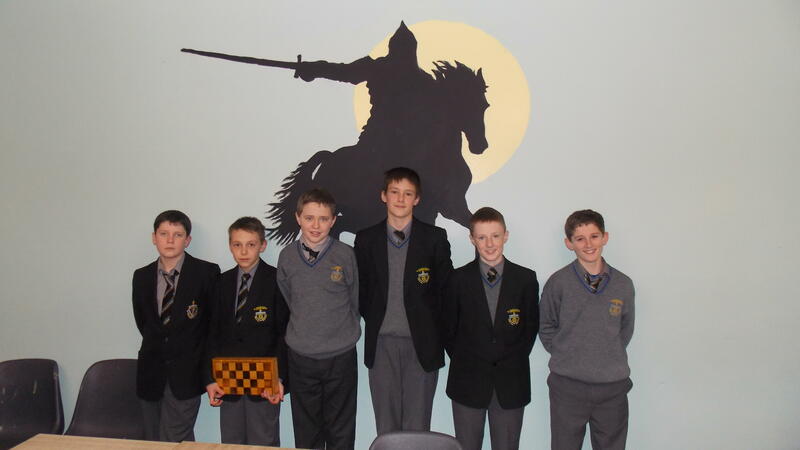 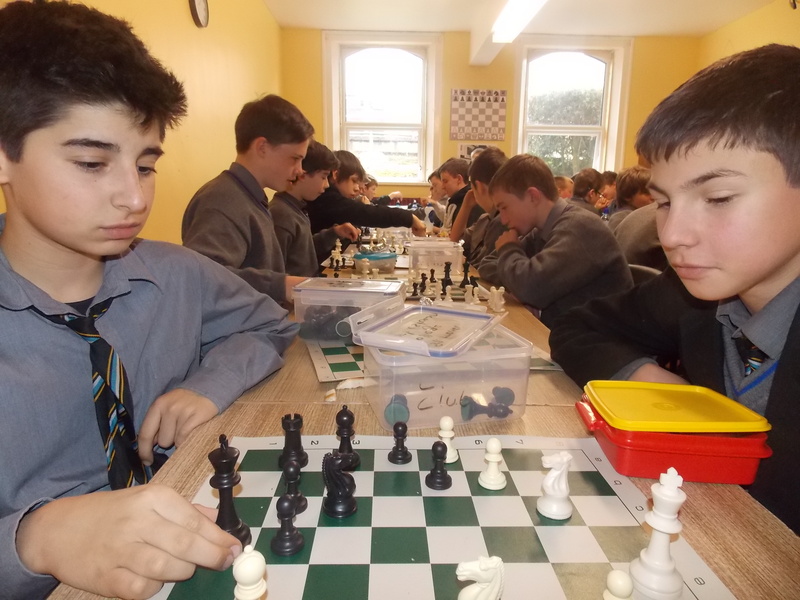 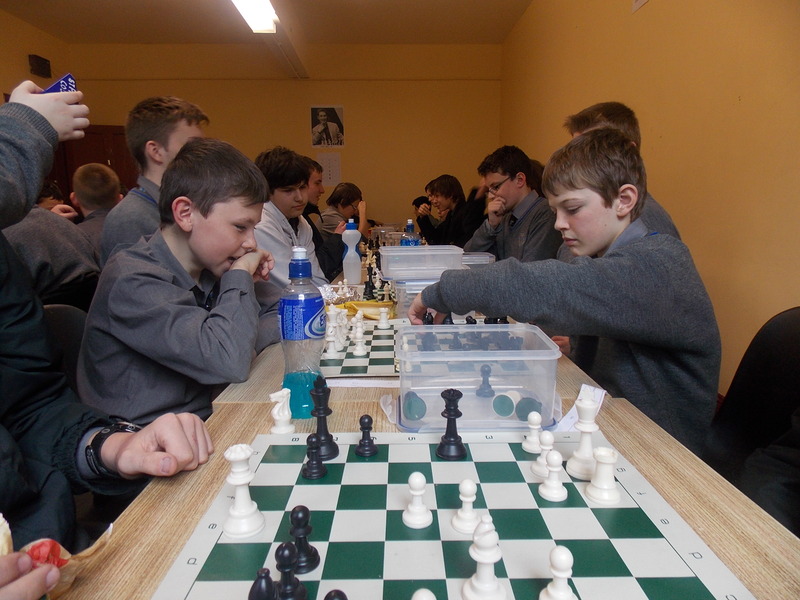 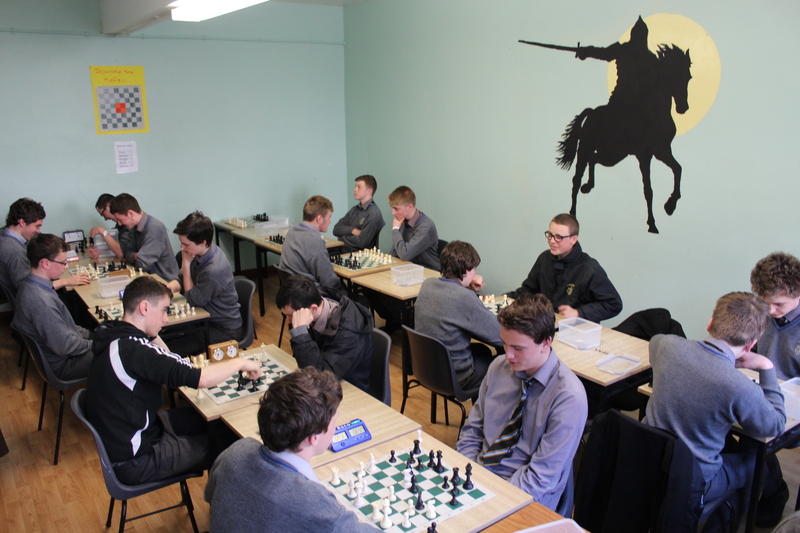 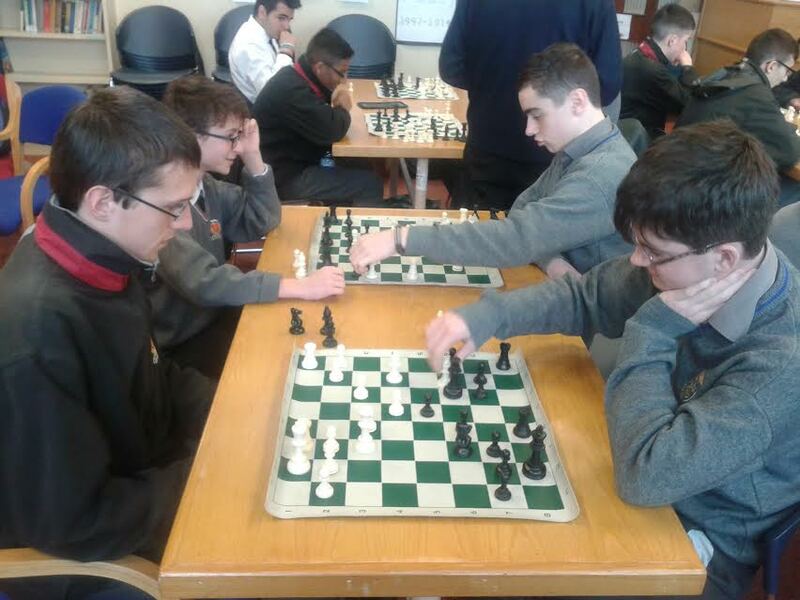 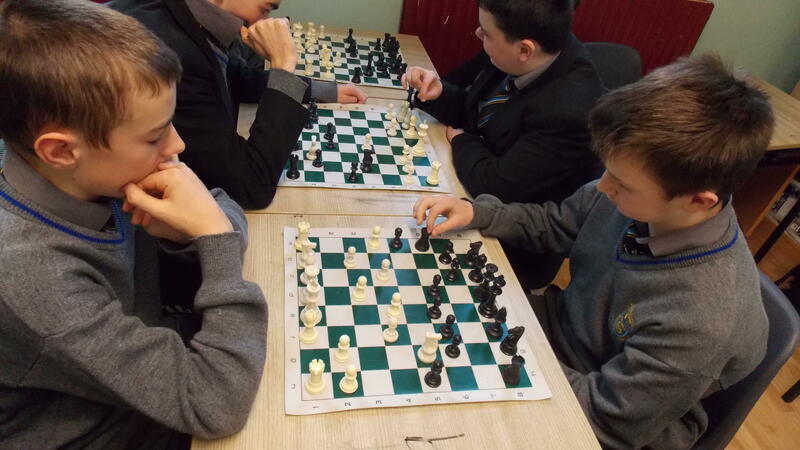 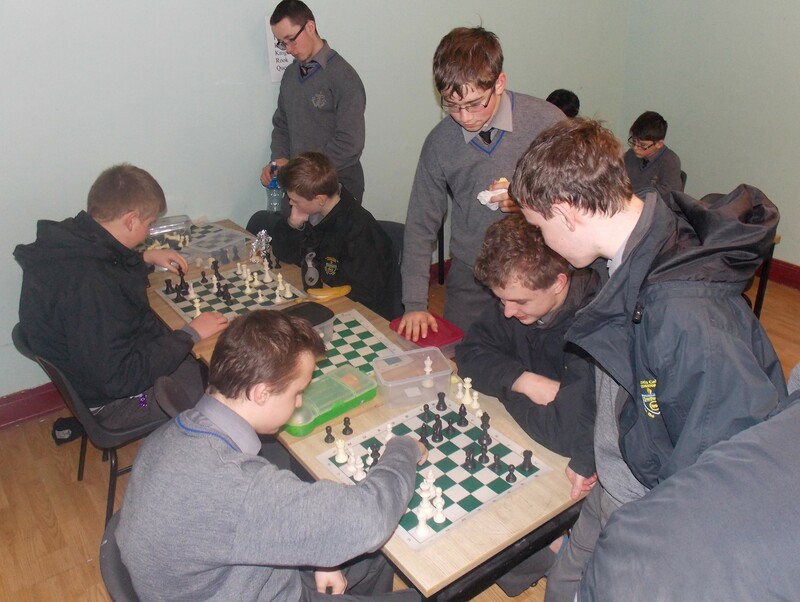 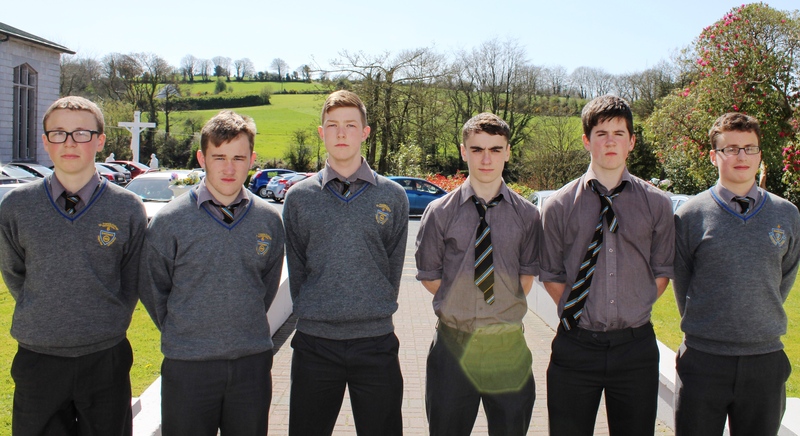 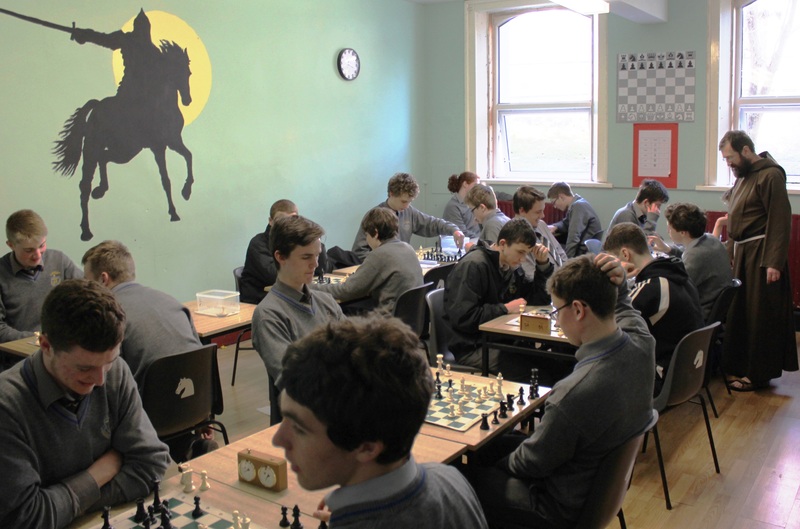 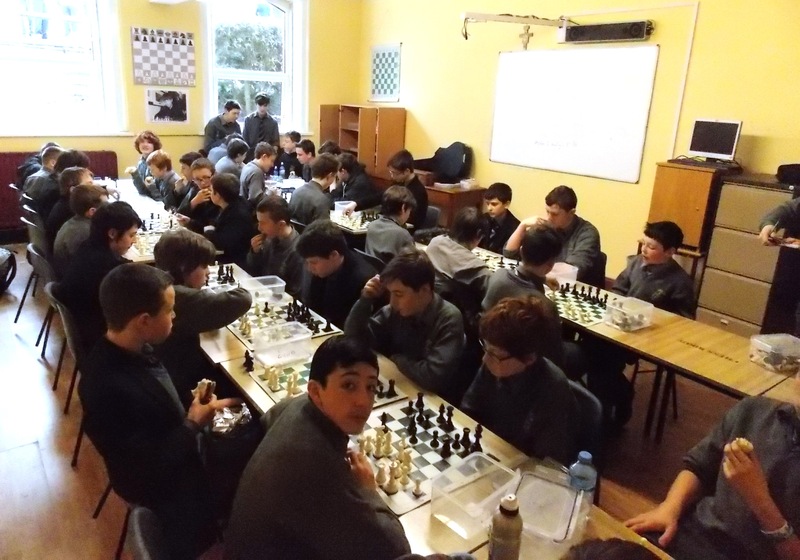 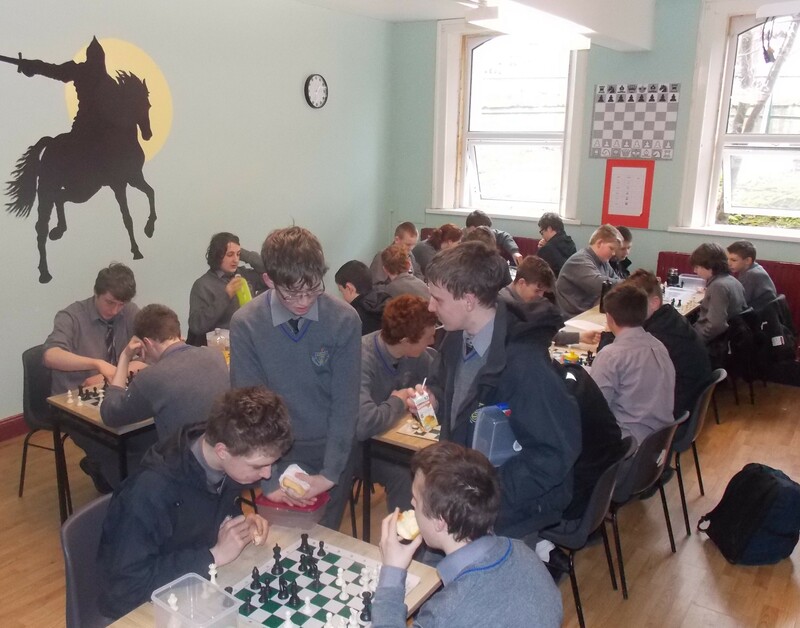 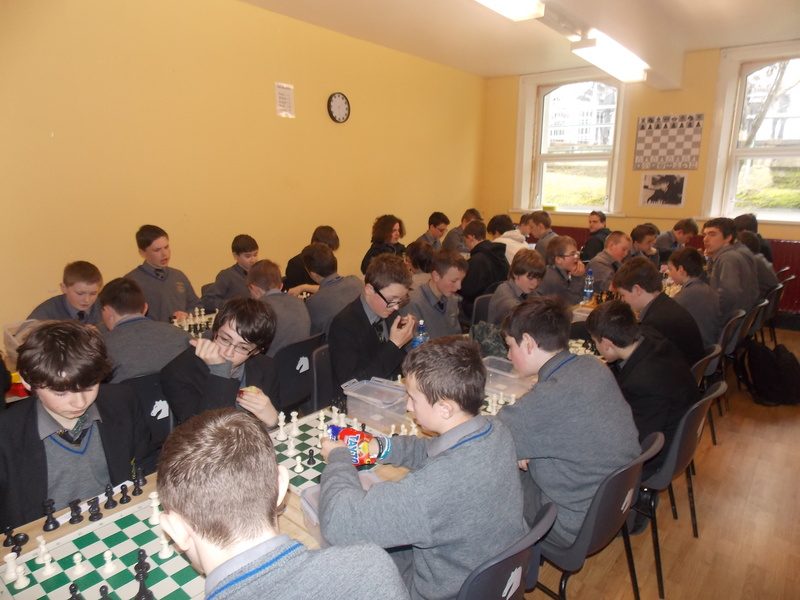 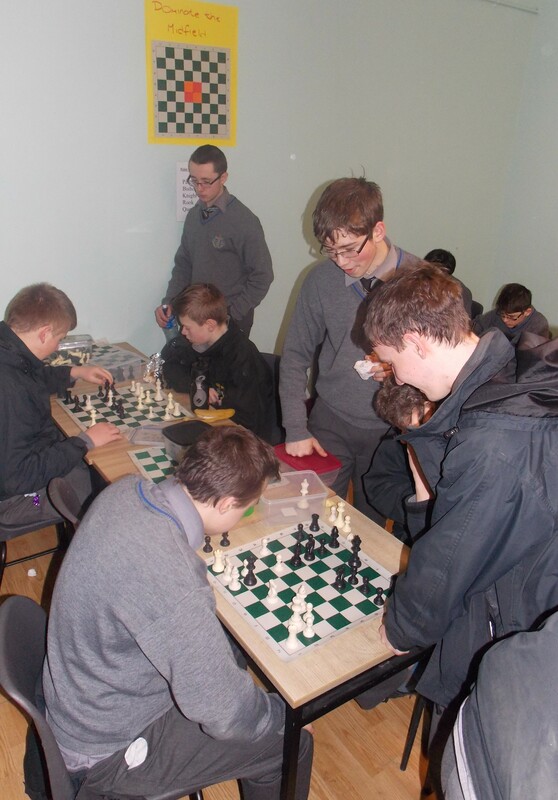 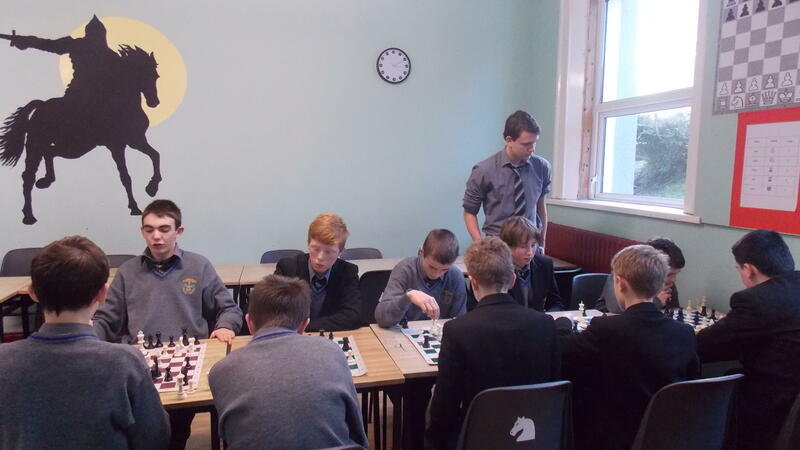 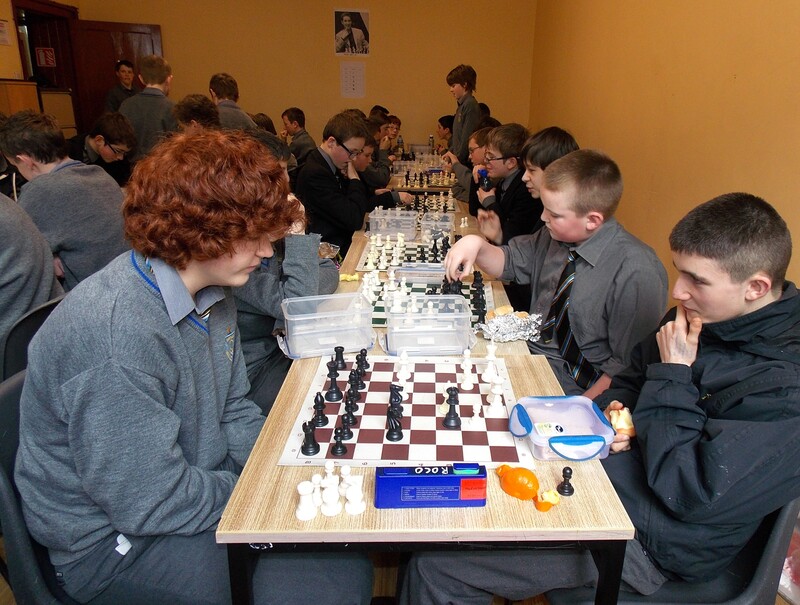 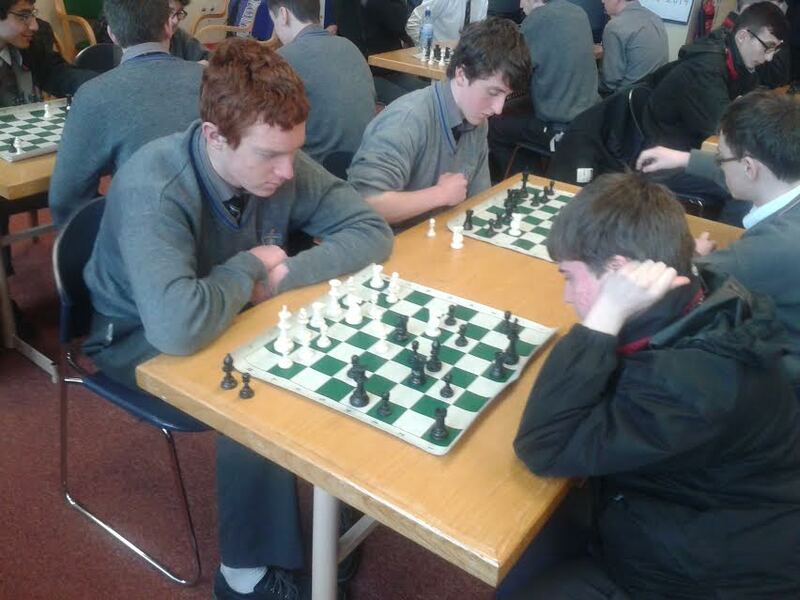 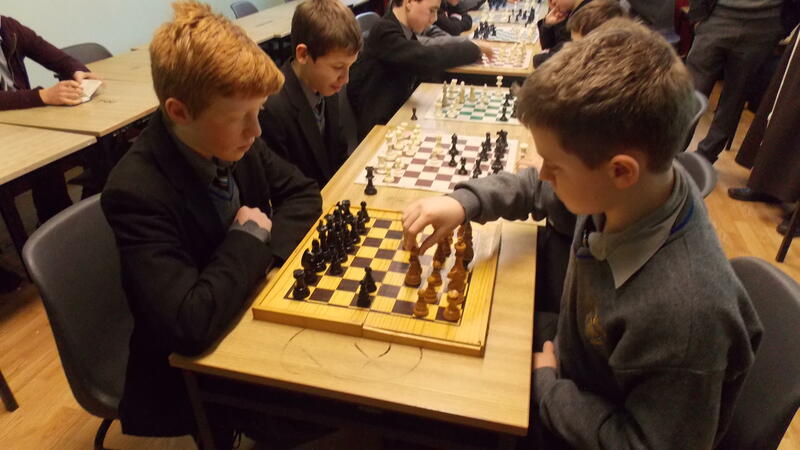 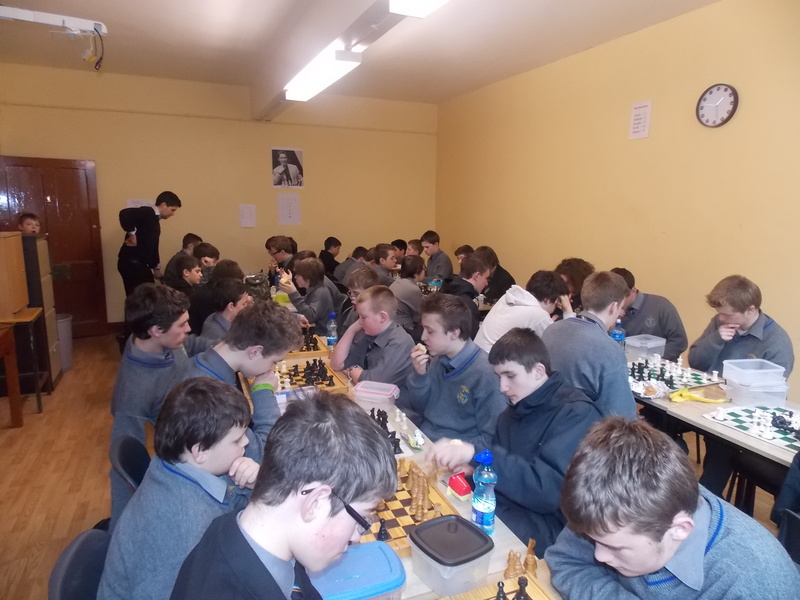 Above see recent chess friendly (Feb 2015) against Colaiste An Spiroaid Naoimh, Bishopstown. 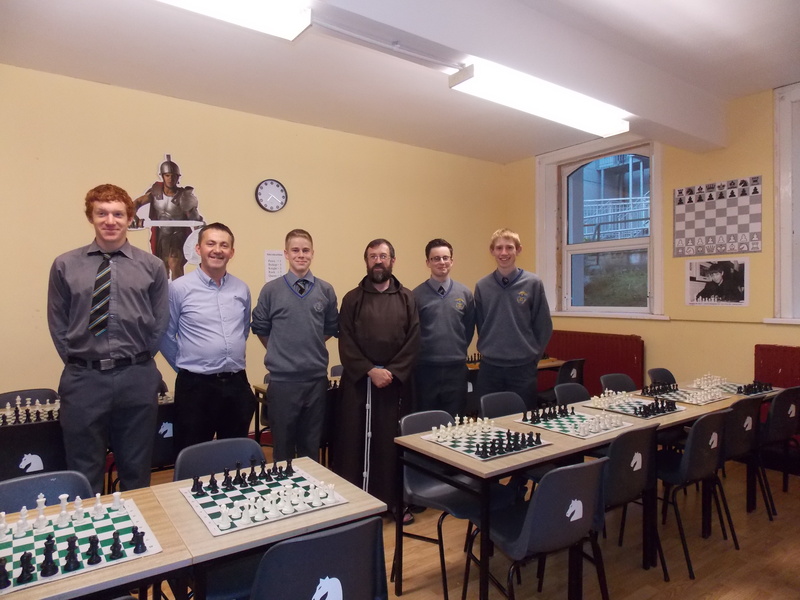 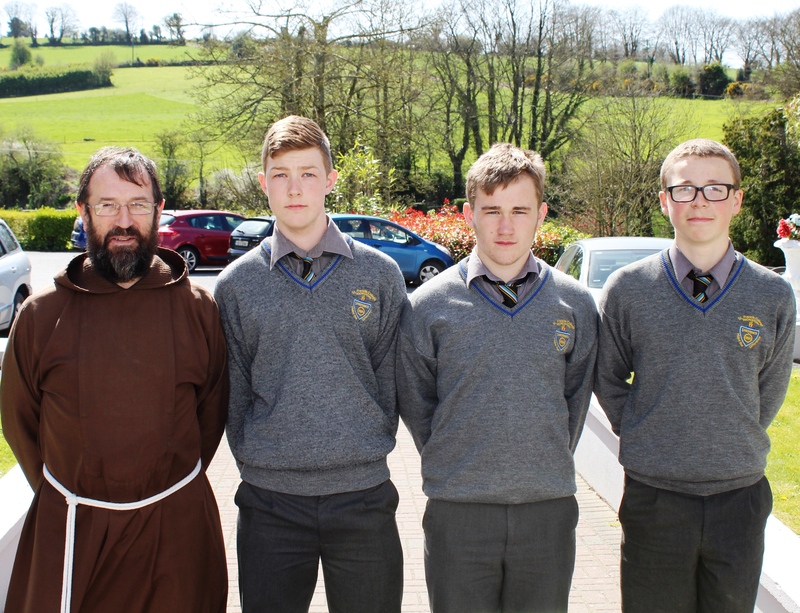 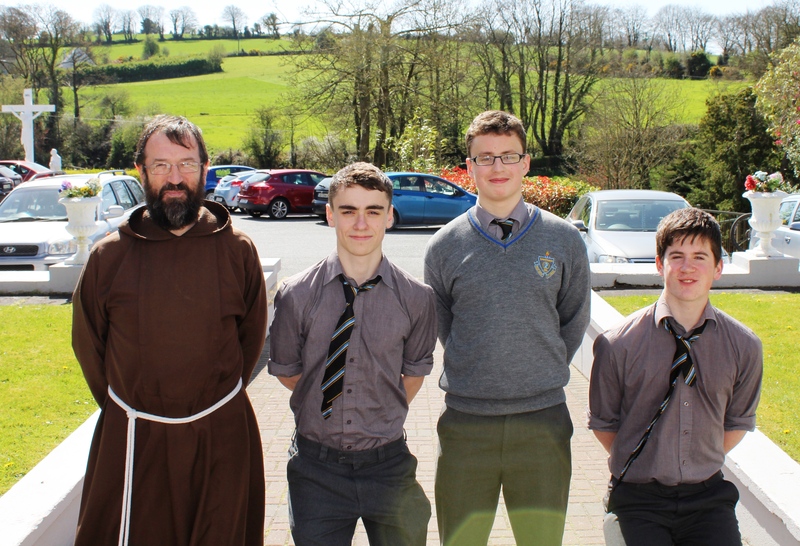 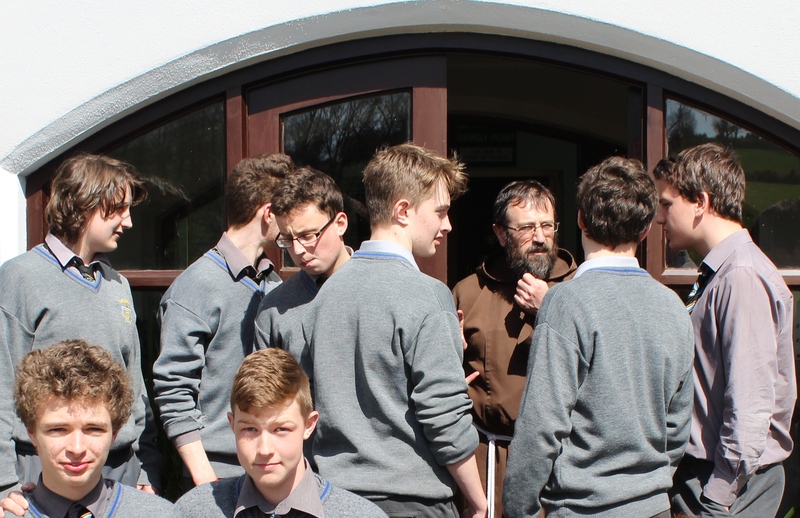 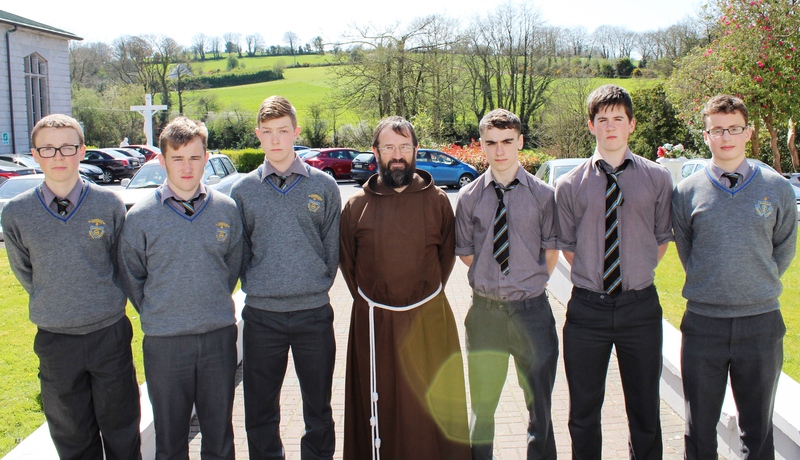 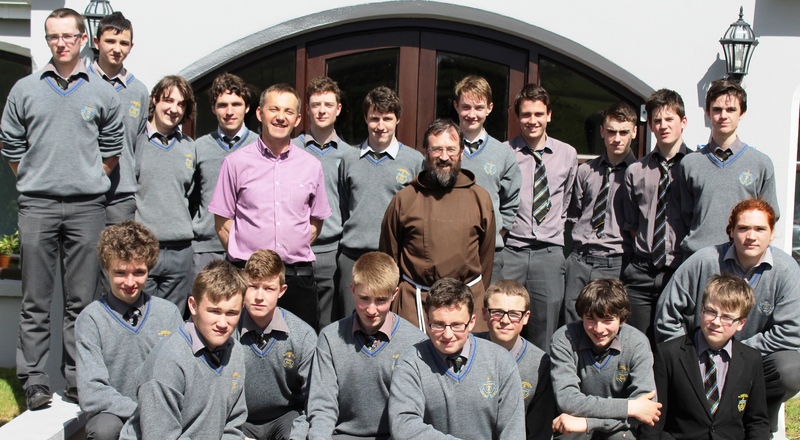 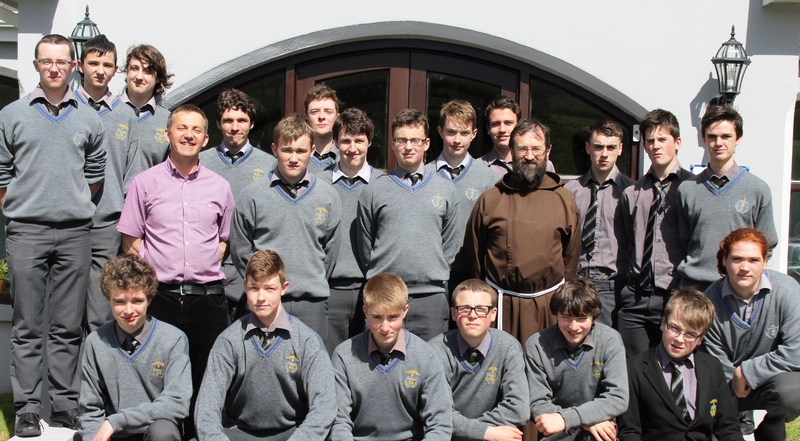 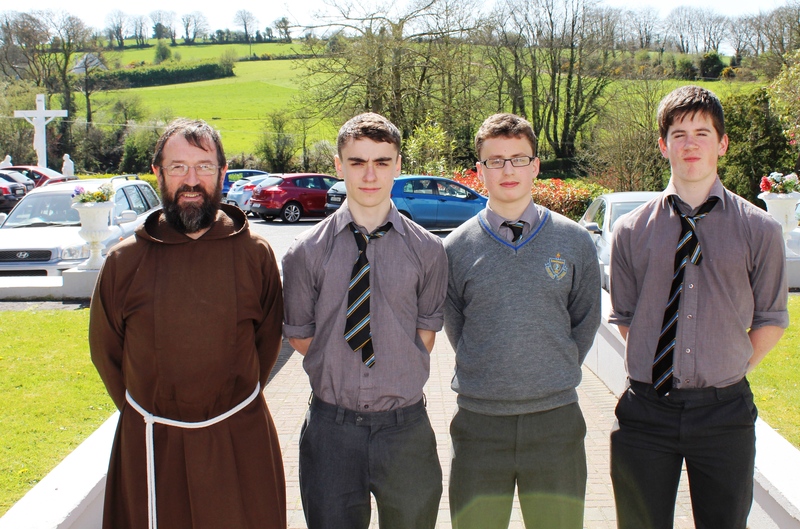 Thanks to Mr Kiely and his students who hosted the occasion. 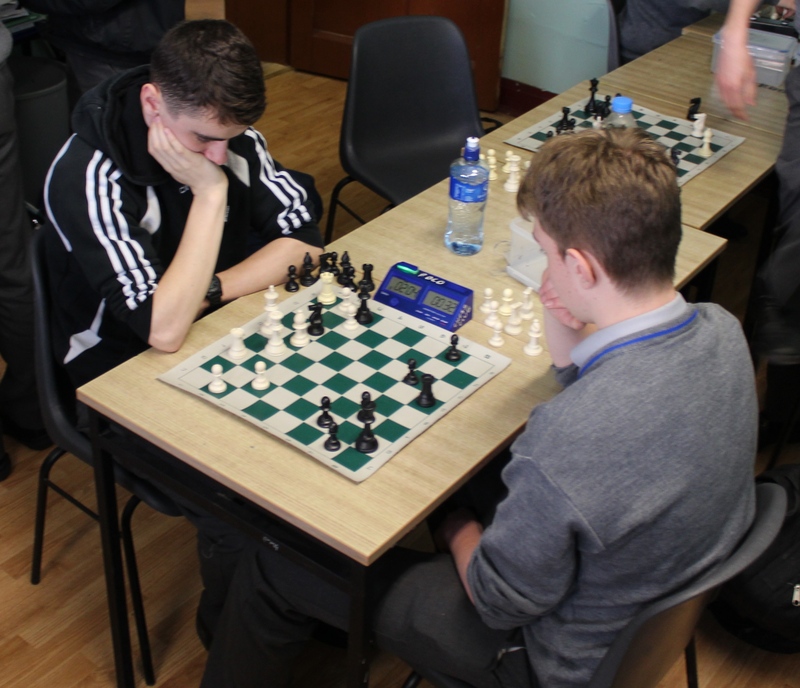 Above see pictures from today’s first-year league play off.